Being a relatively smaller dog, Dachshunds have a very specific dietary requirement, which raises the question of today’s article. What is the best dog food for Dachshunds? Dachshunds are known to have a lot of stamina and energy. That’s why they are very much active inside as well as outside the house. To keep up with their energy level, they need a high-quality dog food packed with all necessary nutrients. Every dog is different, and they don’t all need same type or the same amount of food. An extremely active dog has more nutritional requirements than a couch potato dog. This goes without saying that the quality of dog food also matters a lot. The better the quality, the less frequent vet visits will be! Feeding high-quality dog food to your Dachshund, not only makes him healthier but also improves the quality of his life. For your dog’s optimal health, you should feed him a meat based dog food instead of grain-based. In general, meat based dog foods are a little expensive, but they provide much higher nutritional values than grain based dog foods. When looking for the best dog food for Dachshund, avoiding low-quality ingredients in a dog food must be your number one priority. Let’s see what are the essential components of food, which will make it the best food for dachshund. Dachshunds are small dogs, and their typical weight range is between 16-32lb, which is considered a healthy weight for dogs of this breed and size. 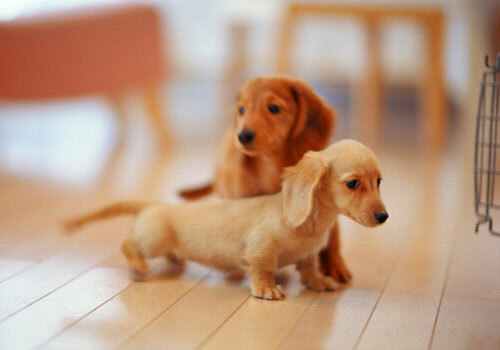 Dachshunds are much longer than they are tall, giving them the nickname of “hotdog” or “wiener” dogs! For the calorie requirement estimation, we are going to assume that the average weight of a standard Dachshund is 25 pounds. If your dog is lighter or heavier than 25 pounds, then adjust the daily calorie intake based on your Dachshund’s weight. 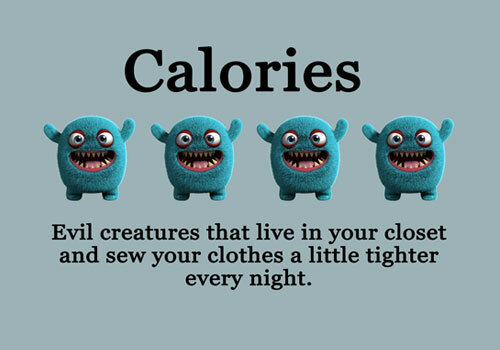 Note: Above estimated calorie requirements are primarily based on an average weight of Dachshund dogs. Before making any significant changes in your dog’s diet, please consult with your veterinarian. A typical adult Dachshund weighting around 25 lbs should consume around 575 calories per day, or around one cup of standard dog food. This amount of food ensures that your dog has enough energy and gains enough vital nutrients, while still keeping them fit and trim. A more active dog that gets outside frequently and has a lot of exercises should consume about 900 calories per day. Older dogs, meanwhile, need fewer calories and should typically eat about 475 calories a day. Every dog is different, so it’s important to assess your dog’s individual needs. Above all, these calorie requirements should be used as part of a balanced diet that maintains a healthy weight and lifestyle for your dog! In addition to feeding your dog a high-quality food, it’s also critical to monitor his growth and weight. Because of Dachshunds’ small size and unique physiology, they are prone to gain weight and other related health issues. This makes it even more important than usual to carefully monitor your dog’s food intake in order to ensure that they’re consuming the proper nutrients without overeating. Dachshunds come in a variety of different shapes and sizes, from standard to miniature to rabbit. Despite their differences, however, all dachshunds have roughly the same requirements for nutrition and healthy eating. Here are some of the things that you should consider when choosing a healthy source of food for your Dachshund. Like most dogs, Dachshunds need a diet that is high in protein in order to stay healthy and happy. Dachshunds typically need a diet that is around 30-40% protein. 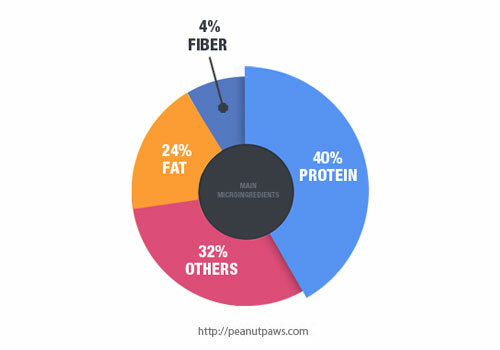 A pet food that contains 40-50% protein is even more ideal, as it provides additional nutrients for your pet and cuts out on other carbohydrate and fat-based fillers and additives that are sometimes found in pet food. Just because a pet food boasts a high protein ratio, however, doesn’t mean that it’s the best food for your Dachshund. In addition to selecting a pet food that is chock full of protein, it’s also important to consider the source of the protein and thoroughly scrutinize the ingredient list to make sure you’re feeding your dog the right food. Some pet foods contain protein sources that are little more than meat scraps and processed leftovers. If you wouldn’t feed yourself chicken nuggets every day for breakfast and dinner, you shouldn’t feed your dog them either! Look for high-quality protein sources such as beef, chicken, turkey, and fish in order to ensure that your pet’s food is healthy and nutritious. Additionally, it can be beneficial to occasionally feed your Dachshund raw meat, if possible. Raw meat provides many benefits to your pet and can be a good break from the routine of a particular brand of food. Fat is another important component of a healthy pet food for your Dachshund. Fat ensures that your pet’s coat remains glossy and their skin healthy and well hydrated. Fat is also an important source of energy for your dog, helps your dog’s digestive process to run smoothly, and contributes to satiate your dog when they finish their meal. When choosing a dog food, you should look for a minimum of 10% fat content in a particular brand of food. An optimal level of fat to shoot for is between 20 and 30%. Many pet foods contain more than this, however, since fat has significant flavor-boosting properties and helps food taste good to your dog! While you shouldn’t buy a pet food that is made up exclusively of fat, a little extra fat can’t hurt your pet and can even have some health benefits. Just as with protein, it’s important to make sure that the fat in your pet food is coming from high-quality sources. High-quality sources of fat in pet food include fish, avocado, and flax, among others. Try to avoid low-quality fat sources such as lard, beef tallow, and vegetable oil, which are not as healthy for your dog. 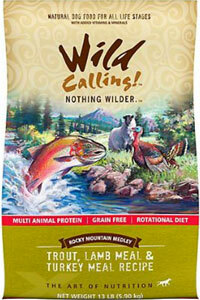 A high-quality dog food will boast a wide variety of vitamins and minerals. Vitamins and minerals are an important component of your Dachshund’s diet and promote healthy growth, a strong immune system, and a sleek coat. They also help to prevent against various health issues that can be caused by vitamin and mineral deficiencies. Vitamins and minerals can even help with behavioral problems! Considering all of these many positive attributes, it’s important to make sure that your dog gets a healthy dose of vitamins and minerals in their pet food. Vitamins and minerals in pet food are most commonly added through a combination of fruits and vegetables. When looking at the list of ingredients on a potential source of food for your dog, there should be a proper amount of fruits and vegetables there. In addition, it’s important that the sources of vitamins and minerals are varied, and don’t rely too heavily on a single source. Different fruits and vegetables contain different vitamins and minerals, so a food that contains a wide variety of these items will be more comprehensive. The more variety, the better! 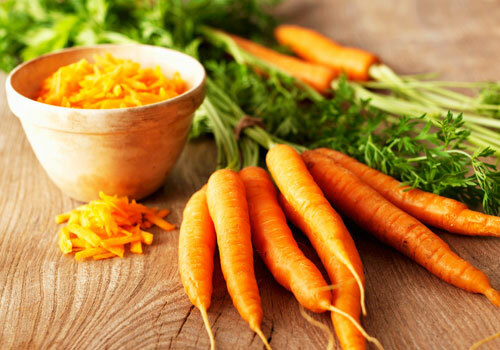 Some examples of healthy, nutritious sources of vitamins and minerals include carrots, sweet potatoes, pumpkin, green beans, and more. Carbohydrates are another important source of nutrition for your dog, but it’s best not to include too many in your pet’s diet. There is no minimum requirement for carbohydrates in a Dachshund’s pet food, but carbohydrates shouldn’t make up a majority of your pet’s food. In order to make sure that your pet’s food is easily digestible and doesn’t pose any health issues, carbohydrates should come from high-quality sources such as brown rice, barley, sweet potatoes, and oatmeal. These grains provide beneficial nutrients to your dog and are a positive part of their diet. 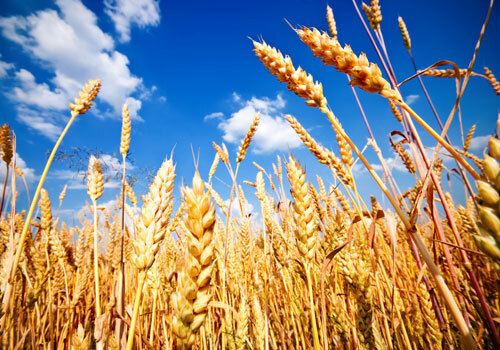 It is best to avoid low-quality sources of carbohydrates, which mainly consist of grains such as wheat, corn, and soy. These carbohydrates act as cheap filler for a lot of lesser quality pet foods and fill your dog up without providing him the essential nutrients that he needs to thrive. Just like humans, dogs need water to stay hydrated and in order for their body to perform its essential functions. Water keeps your pet’s skin and coat hydrated, helps with proper digestion, helps to absorb nutrients, maintains a stable body temperature, and much more! A healthy and nutritious pet food is only half of the equation – your pet must also drink clean, safe water in order to stay healthy. Dogs should typically drink 1 ounce of water for each pound of their weight. For Dachshunds, this means that they should drink between 16 and 32 ounces. As with all health recommendations, the amount of water a dog needs varies from pet to pet, and you should always make sure that general recommendations work well with your pet’s specific circumstances. 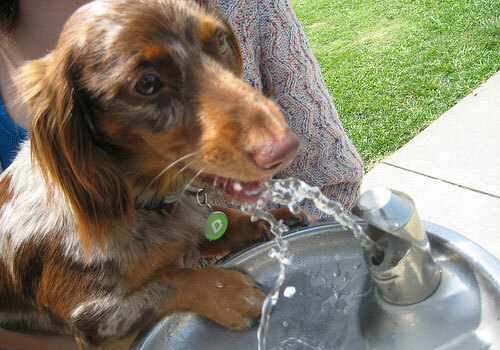 Make sure that clean, fresh water is always available for your Dachshund when they need it. Especially during warm weather, dogs may develop dehydration if they don’t get enough to drink. An easy way to ensure that your pet has enough to drink is to refill their water bowl every morning and to monitor it closely to make sure that they have fresh water throughout the day. Change your pet’s water frequently so that harmful bacteria don’t accumulate. If you prefer to cook food for your Dachshund, then here is an excellent and delicious recipe for you to try next time. Just like there are some components, that are a must-have in pet food for your Dachshund, there are some ingredients that you should definitely avoid. These low-quality ingredients are often a result of pet-food manufacturers trying to produce a cheaper product and at best don’t provide your pet with the nutrients they need, while at worst they can have harmful health effects. Avoid low-quality protein ingredients that boost the protein ratio in a food but do little else to help your dog. Meat by-products, bone meal, and blood meal should all be avoided. These ingredients, while technically sources of protein, are only the cheapest remains of meat products and can often be harmful to dogs. 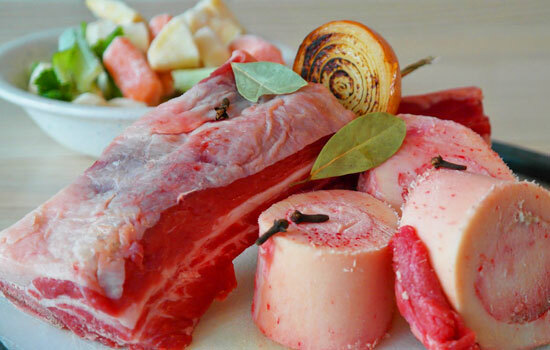 Cooked bones can also prove a health hazard for your pup. Also, steer clear of low-quality grains such as wheat, corn, and soy. These ingredients act mainly as filler in pet foods and are a cheap way to produce food that has little to no health benefits for your pet. Just like for humans, too many carbohydrates can leave your pet bloated and unhealthy, so it’s best to avoid them as much as possible. A large amount of dairy can also be harmful to your dog. Dairy is not traditionally part of a healthy diet for dogs and can even cause health problems. Try to limit the amount of dairy that your dog consumes, as it is not necessary for their health and can have an adverse effect on them. Finally, it is best to avoid any harmful additives such as salt, sugar, artificial preservatives and coloring, artificial flavor, and other fillers. These ingredients are often added in order to make pet food to taste good for your dog, but they rarely provide any health benefit and can be harmful to your pet’s health. Just like for humans, a pet food that is composed mainly of high-quality sources of protein, fat, carbohydrates, and fruits and vegetables is the best course of action. Pet foods that rely heavily on additives are often just covering up for their less than stellar ingredients. 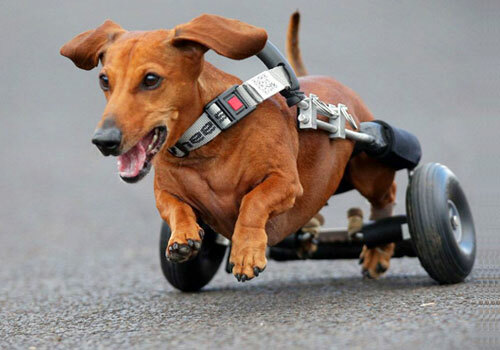 Dachshunds are sturdy little dogs and generally, a healthy breed. But just like any other dog breed, Dachshunds are prone to certain health problems. 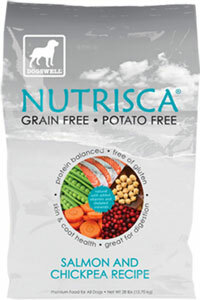 Some kibble, especially the ones that contains grains, cause food allergies in dachshunds, but these are easier to fix. You can replace your current dog food with high-quality dachshund dog food listed below. A careful weekly examination of your dog will help you spot any potential health problems early. 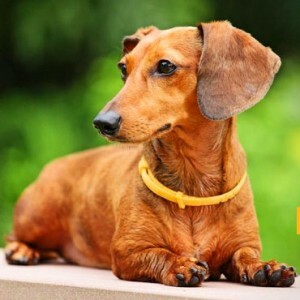 Let’s find out about some of the common dachshund health problems. Because of their unique shape and size, Dachshunds can be at risk for some serious health problems as they age. One of the potential health issues that Dachshunds face is intervertebral disk disease. This disease affects the spinal column, and Dachshunds’ long, slender spines are especially vulnerable. This disease can cause pain, nerve damage, and even paralysis. One thing pet owners can do to limit the chances of their dogs developing this disease is to make sure that their pet stays at a healthy weight. Obesity greatly increases the chance of developing intervertebral disk disease, so it is best to keep pups in a healthy weight range. Epilepsy is another disease that is common is Dachshunds. Dachshunds are prone to epileptic seizures that can severely damage their body and have lasting negative health consequences. Epilepsy in Dachshunds is sometimes thought to stem from a head injury or other trauma, such as a fall. It is best to speak with a vet to determine the cause of your dog’s epilepsy, and to discuss methods to control their seizures. If your dog begins to have seizures, seek medical attention right away. Epilepsy in dogs can often be very effectively managed with the right medications, so it’s important to seek the advice of a professional for the health of your dog. Another illness that Dachshunds are particularly prone to is bloat osteodystrophy. While this disease is more common in large dogs, Dachshund’s deep chests make them vulnerable to bloat osteodystrophy as well. 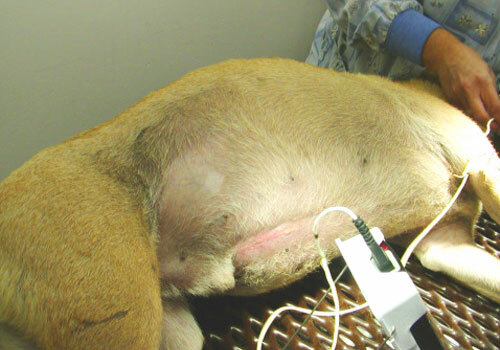 Bloat osteodystrophy is a life-threatening medical emergency where a dog’s stomach becomes distended with excess gas or air, and they are unable to rid themselves of the excess air in their body. Symptoms include a distended abdomen, excess salivation, retching without vomiting, restlessness, lethargy, weakness, and a rapid heart rate, among others. This illness can be fatal, so it’s important to take your dog to the vet right away. Cherry Eye – Health condition in dogs caused by weakened tissues in the tear gland resulting in the gland popping out in a cherry-like shape on the dog’s eye. Heartworms – A severe and widespread canine disease. After you select the perfect pet food for your Dachshund, you should set up a feeding schedule that optimizes your pet’s health and happiness! As small puppies, Dachshunds should get their food exclusively from their mother in the form of milk. After about four weeks, puppies are ready to begin experimenting with real food while still maintaining a steady milk-based diet. Dry dachshund puppy food soaked in warm water or milk can be introduced gradually. At around eight weeks, they should be weaned off milk entirely. Puppies need to eat three to four times a day in order to encourage healthy growth. After about six months, Dachshunds pups should transition to eating exclusively high-quality adult dry food twice a day. It’s important to maintain a fixed schedule for your dog and to make sure that you don’t overfeed your pet, especially since Dachshunds are prone to excessive weight gain and associated health issues. Treats are okay, but they should be limited to training exercises and shouldn’t be consumed in excess. Getting into a good feeding routine with your dog will help them to know what to expect and will ensure that they get the right nutrients at the right time. When transitioning your dog from one dog food to another, the best way to switch is by providing a gradual transition over a course of 7-10 days, which will considerably reduce any gastrointestinal symptoms or stomach upset caused by an abrupt new food change. 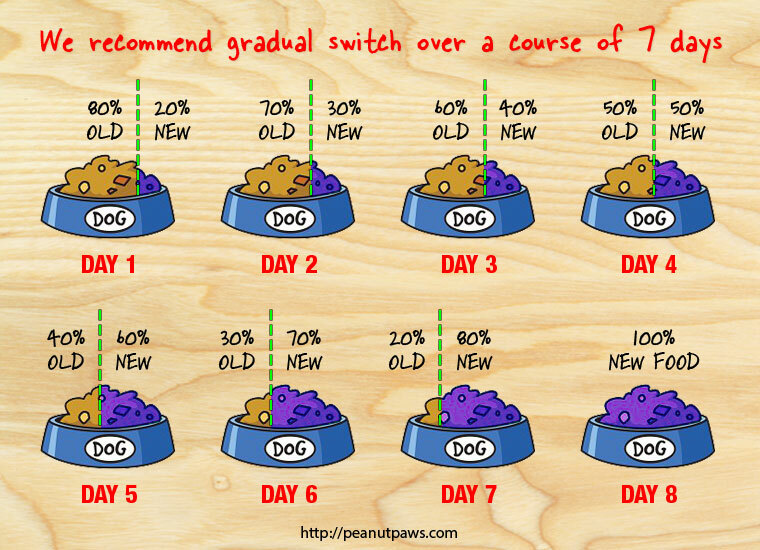 The following picture will help you understand the whole process of switching dog foods. Wellness CORE Natural is one of the highest quality dog foods available in the market. It not only keeps your dog healthy but also helps keep his digestive system in line and the dog produce less waste. This packs with 38% protein which is just about right for Dachshunds, and all of it comes from high-quality animal proteins, such as chicken, chicken meal, turkey and turkey meal. Although carbohydrate content is little higher in this dog food, but there is nothing to worry, since it is a grain-free dog food, the primary carbohydrate sources are sweet potatoes and peas. These are also high in fibers. One of the best things about Wellness CORE Natural is that they don’t use any type of artificial preservatives or flavors. It also stuffed with lots of vegetables and fruits, such as apples, carrots, blueberries, parsley, kale and other great ingredients to offer a broad range of vitamins and minerals. Wellness CORE Natural is, without any doubt, one of the best food for dachshunds. It is also highly recommended and one of the best dog food for Beagles and other highly active medium sized dogs. Wellness CORE Natural is also another grain-free, meat-based dry dog food which uses poultry and fish meals as its main sources of animal protein. It earns deserved recommended status and our 5-star rating. Blue Buffalo Life Protection is another an excellent choice of dog food for Dachshunds since it is grain-free and packed with all necessary nutrients that your dog needs. It comes with 28% animal protein and 33% fat which are perfect for medium sized dogs like Dachshunds. A little higher fat content helps dogs with their coat and digestive system. 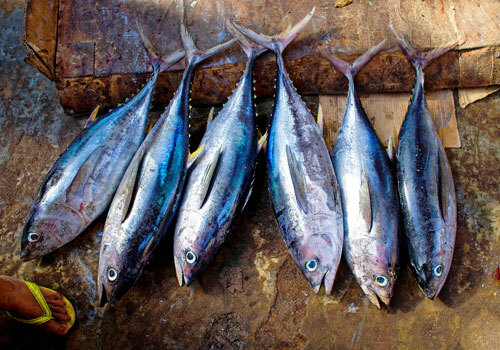 All animal protein comes from high-quality sources, such as deboned chicken, chicken meal, and fish. 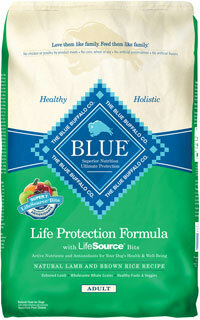 Blue Buffalo Life Protection does not use any low-quality animal protein by-products. 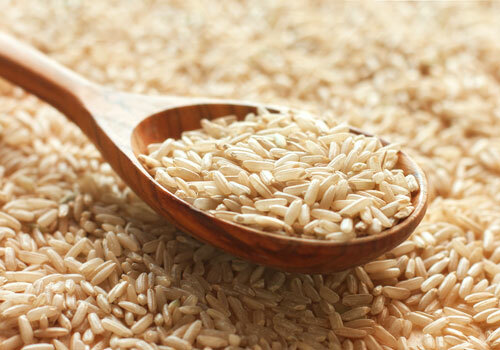 Barley, brown rice, and oatmeal are the primary source of carbs and potatoes, peas, and many other vegetables fulfill the requirements for necessary vitamins and minerals. Blue Buffalo Life Protection is an ideal choice of dog food for Dachshunds, and it is known to avoid any inorganic flavors as well as preservatives. That is the reason Blue Buffalo Life Protection is also recommended best dog food for Yorkies. Blue Buffalo Life Protection is a grain-free meat-based dry dog food which uses various meats as its primary sources of animal protein, thus earning our 5-star rating and a highly recommended status. 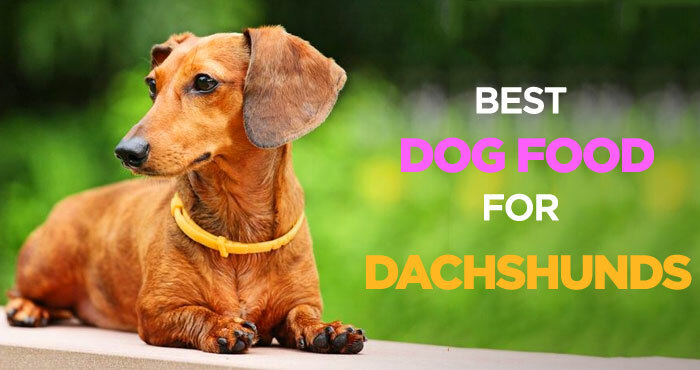 With so many different variables to consider, it can be overwhelming to decide what is the best dog food for Dachshunds. When considering a dog food for your pup, make sure to choose a brand that uses only high quality and has an acceptable ratio of protein, fat, and carbohydrates. In addition, make sure that your pet is well hydrated and gets plenty of exercises! Hydration and exercise complement a nutritious pet food to guarantee your pet’s health. Ultimately, healthy and nutritious dog food will contribute to your pet’s overall health and happiness, and will ensure that they live a longer life and can spend more time enjoying it with you! Like this article? You may also like to check out our detailed guides on recommended dog food for puppies and dogs. 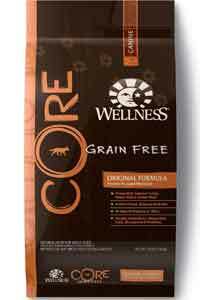 Wellness CORE Natural Grain Free Dry Dog Food was reviewed by Brian Hersh on Feb 23, 2018. *Disclaimer: Our review on dachshund dog food is based mostly on our expertise and the experts/veterinarians we consulted with and the information provided by the manufacturers. We do test many dog foods, but it’s not possible to test them all. As such, please remember the above recommendations are our opinions, and before making any changes in your dog’s diet, please consult with a local veterinarian.